We're about to introduce you to your latest Instagram crush -- one furball the internet has quickly fallen in love with! Meet Goma, the 4-year-old Maltese and Papillon mix out of Tokyo, Japan. 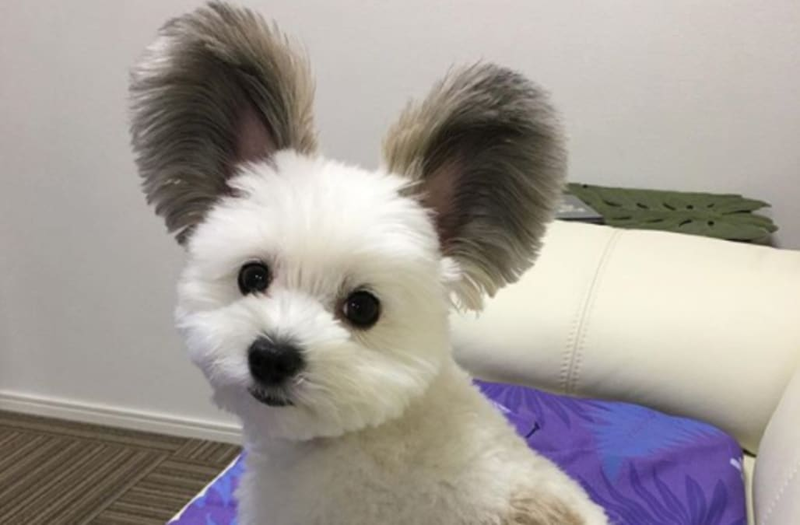 The white pup and her giant gray mouse ears have quickly become an internet sensation, raking in over 92K fans on Instagram as of late. Goma, which translates to "sesame" in English, has quickly earned her title as "The Mickey Mouse Dog." At first we were doubtful that such a tiny dog could have such big ears, but after doing a little research of our own, it's clear she's a hybrid destined for stardom. Papillons, French for butterfly, are known for their big ears and docile personalities. They're one of the perfect companions for families with children and other pets, like cats -- except for Goma, who seems to have this fear of felines, according to her Instagram. It seems the fluff ball also enjoys her Doggy Box, bandanas and long walks in her stroller. You can follow the adorable pup on Instagram here.